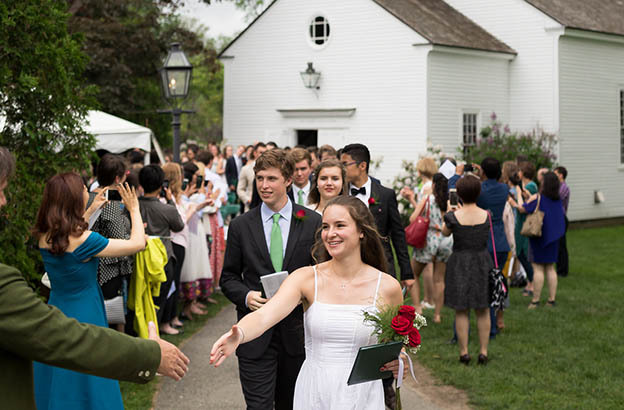 On June 1, a light rain held off just long enough for Concord Academy 96th Commencement exercises on the Elizabeth B. Hall Chapel lawn. 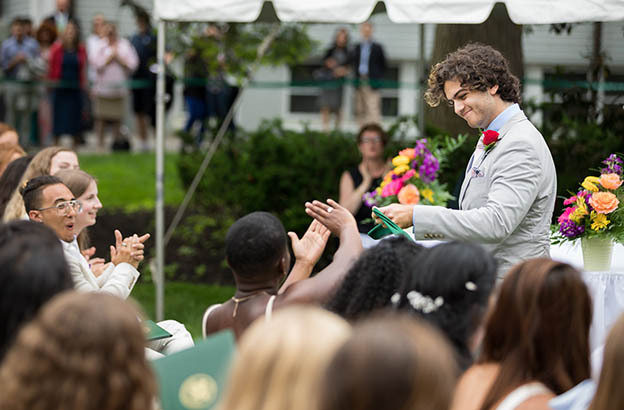 On this occasion marking a new beginning, the class of 2018 and their families had much to celebrate, and much to be inspired by. 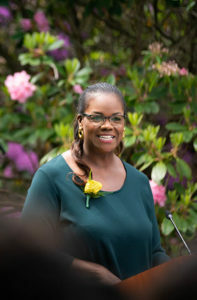 In her final year as president of the Board of Trustees, Kim Williams P’08, ’14 opened the ceremony by addressing the graduating seniors as “a community of individuals,” in all the contradictions that implies — strong willed, sharing a purpose, newly confident in their unique voices. She welcomed them into a network of accomplished alumnae/i and acknowledged a special place for them within it. Head of School Rick Hardy thanked Williams for her five years presiding over a period of remarkable progress at CA. “It has been Kim’s insistence on staying true to CA’s mission — love of learning for its own sake; a commitment to diversity and inclusion; and the abiding principle of common trust — that has distinguished her leadership,” he said. The ceremony unfolded in CA’s distinctive fashion, with seniors singing a class song and, as Hardy said, “no mention of awards, prizes, or diplomas with distinction,” because of this community’s conviction that “all students, not just a select few, deserve recognition.” Shared instead were selections from seniors’ chapel talks — a mosaic of individual voices that brought humor and wisdom from many perspectives. Student Head of School Kaity Goodwin ’18 recognized departing members of the faculty and those who had reached the milestones of 20 years at CA, John Drew, George Larivee, and John McGarry; 30 years, Nancy Howard; and 35 years, Howie Bloom; as well as the retirement of piano teacher Lodowick Crofoot, after 50 years of service to the school. When she took the podium, Hunt brought warmth, energy, and candor to a remarkable speech that united her family’s personal journey with CA’s history as a school. She looked ahead to a “double centennial” — CA’s milestone anniversary in 2022 will coincide with the hundredth birthday of her grandmother, who “grew up in the same era as this great school, out of the same atmosphere of renewal and uncertainty,” and “who reinforced the very same lessons about adaptability and empathy that I learned here,” she said. Just as the paths for women in the world were changing, her grandmother was completing her own education as she worked as a maid. Hunt’s grandfather, after great toil and saving, had built a house for his family with his own hands. Hunt told of the time her grandmother’s employer insisted on driving her home in a snowstorm. When she saw how nice her cleaning woman’s house was, she fired Hunt’s grandmother on the spot. Her grandmother nevertheless kept and treasured the handbags that this and other employers had given her as gifts — as does Hunt, to whom she passed them on at her college graduation. “That woman’s name stitched inside my Nana’s purse was a symbol of all the decades of transformation that exist between us,” Hunt said. “It reminds me that the horizon is far, but also quite close — it’s vital to keep pace.” Hunt carried the same clutch at her investiture as Dame Commander of the British Empire, and she brought it to CA that day. 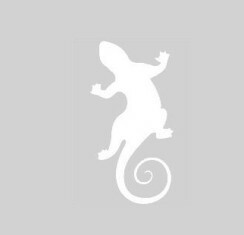 View more photos in the web gallery. Watch the Commencement speech by Dame Vivian Hunt, DBE, ’85 in its entirety below.